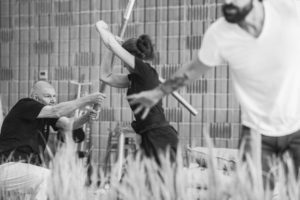 Kendo, Iaido and Aikido – sister arts? The study of Traditional Japanese swordsmanship and weapons is usually associated with Kendo and Iaido as well as Aikido which combines it with open hand defences. The study of the sword and staff at our dojo offers to the opportunity to practice these arts. These arts also further develops awareness, distancing and calmness under stress which are real handy in everyday life too. Iaido is predominantly a kata-based art where practitioners learn solo kata or forms using traditional swords. It is however difficult to practice combat techniques because of the danger involved in practising with a partner using these swords – which are sometimes sharp. Kendo is often studied as well, here the sword is replaced with a replica made of bamboo strips, together with some protective armour; striking techniques and combat simulation can be practised. It’s a compromise though as the bamboo ‘shinai’ aren’t weighted the same as a sword and it is competition or point sparring based. Traditional Japanese schools of the martial arts (called koryu arts) and Aikido use the bokken (a wooden sword equivalent) and Jo (staff) in paired training of set moves. This offers the chance to practise techniques with a partner. A kind of compromise of the above. 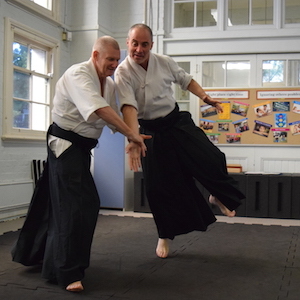 Aikido, which has its roots in the koryu arts, offers a chance to practise sword kata of Iaido, paired practise of set moves and also an opportunity to practise open hand techniques against the sword. 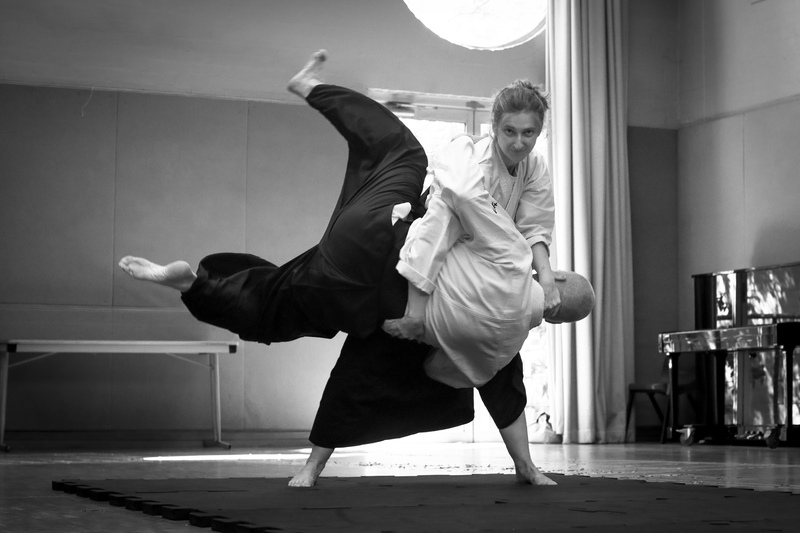 Aikido doesn’t have competitions as the founder felt this didn’t encourage a peaceful mind.